Micro Systemation Generic OBEX Port is a Ports device. The developer of this driver was Micro Systemation AB. The hardware id of this driver is USB/VID_0A1C&PID_7004&CDC_88&MI_02; this string has to match your hardware. 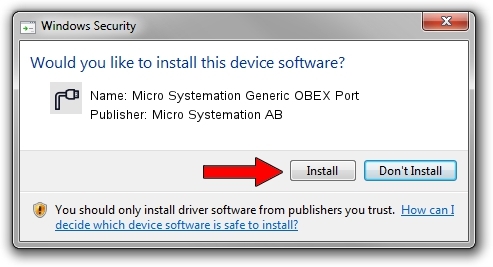 Download the setup file for Micro Systemation AB Micro Systemation Generic OBEX Port driver from the link below. 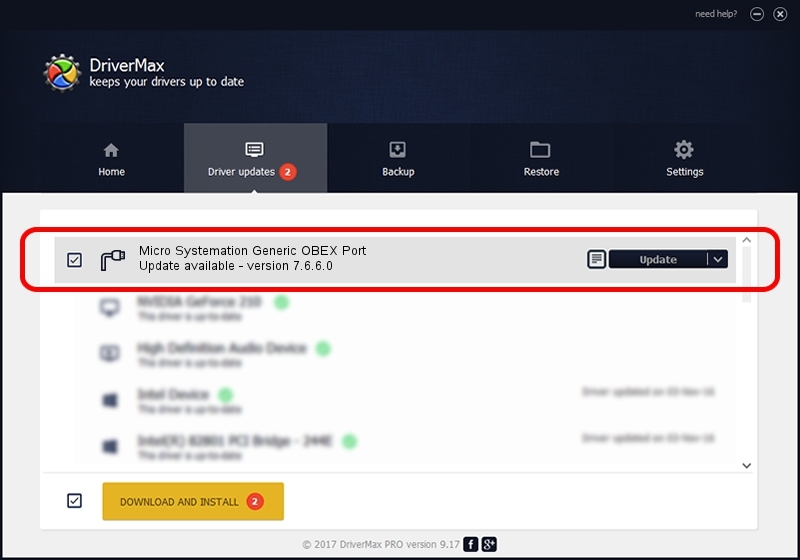 This is the download link for the driver version 7.6.6.0 released on 2014-10-10. Micro Systemation AB applied a digital signature to this driver. This driver was installed by many users and received an average rating of 4 stars out of 94791 votes. Take a look at the list of driver updates. Search the list until you find the Micro Systemation AB Micro Systemation Generic OBEX Port driver. Click on Update.